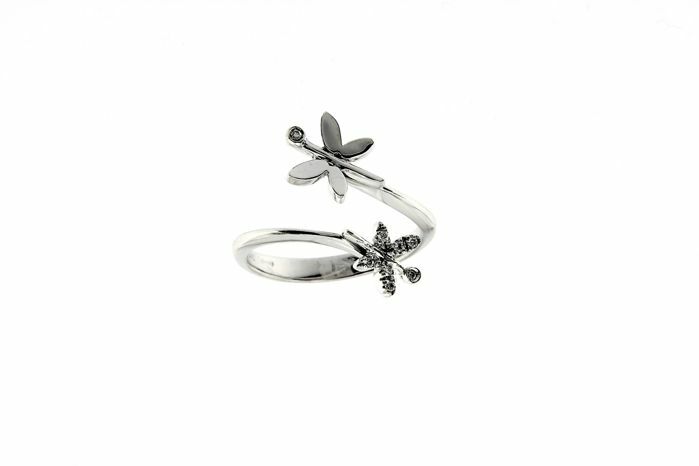 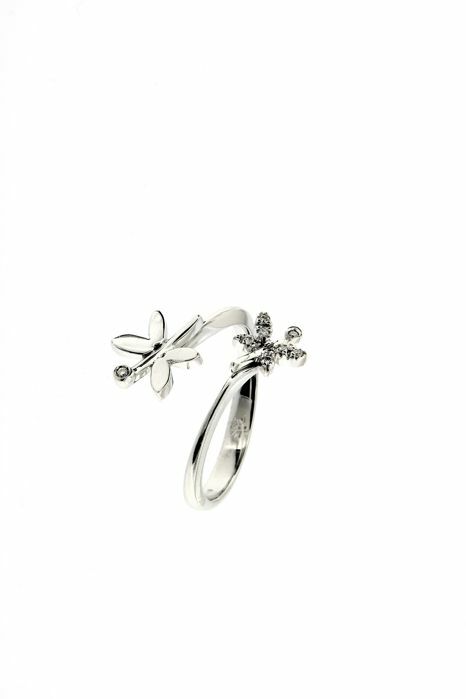 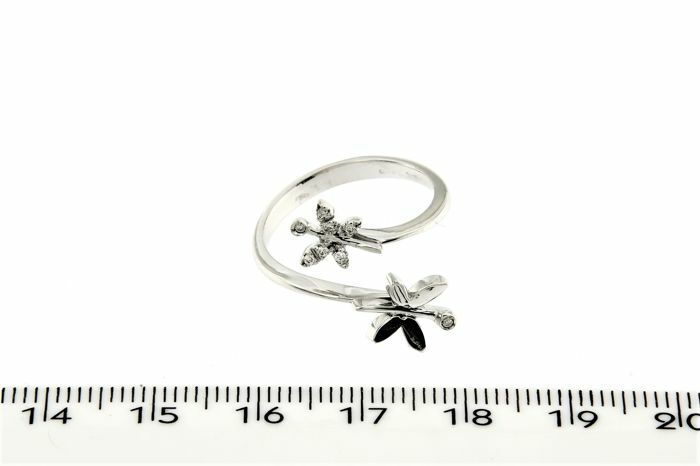 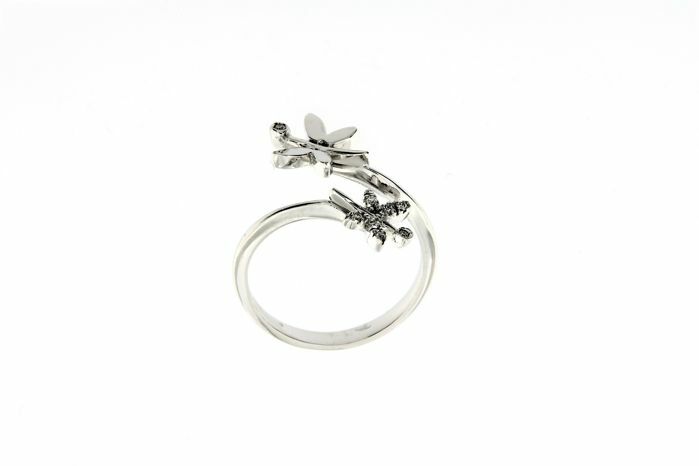 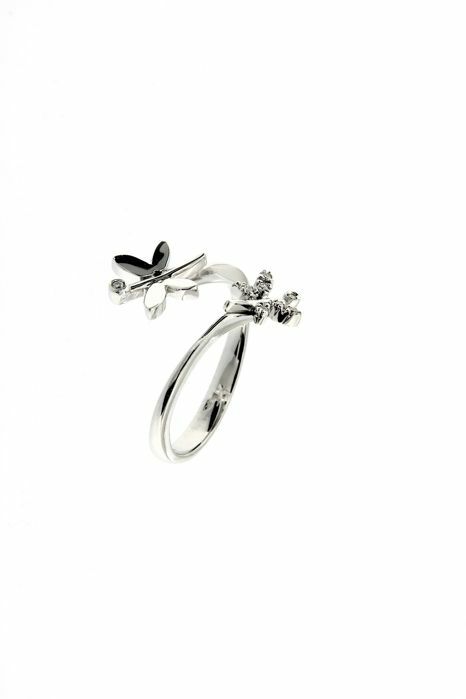 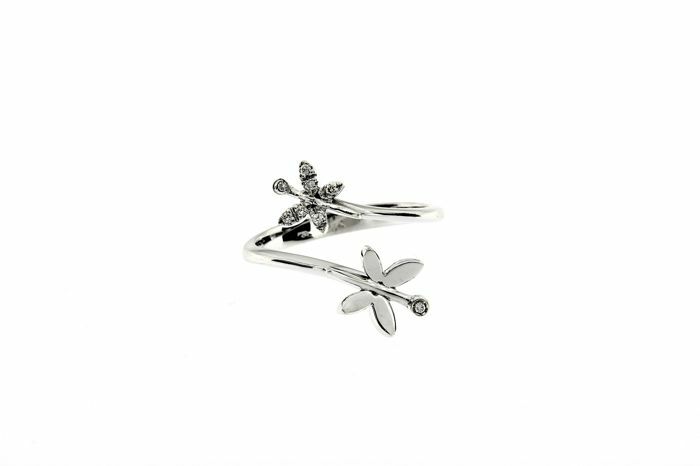 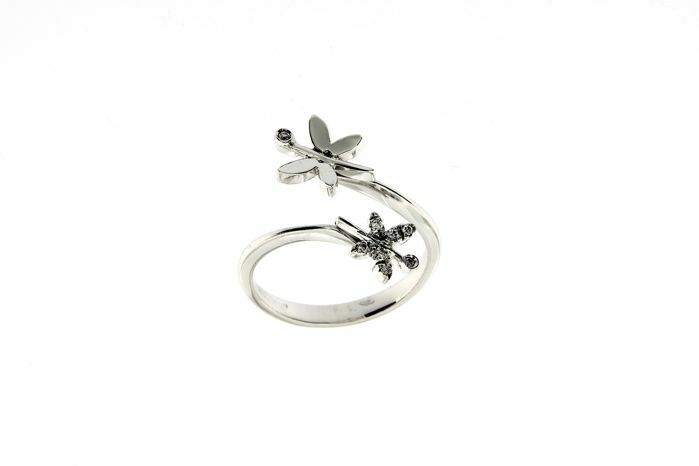 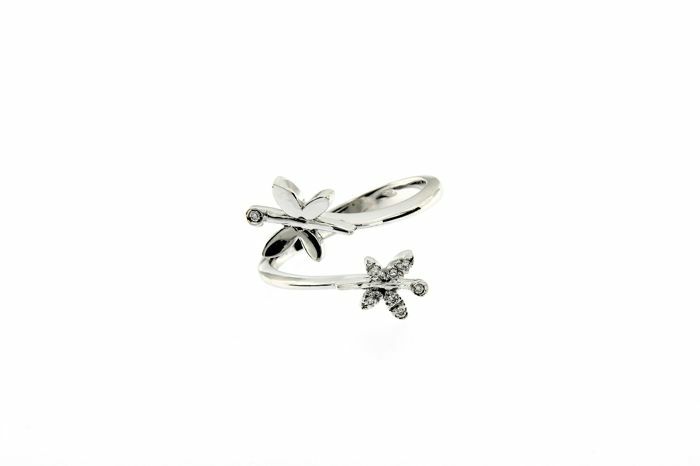 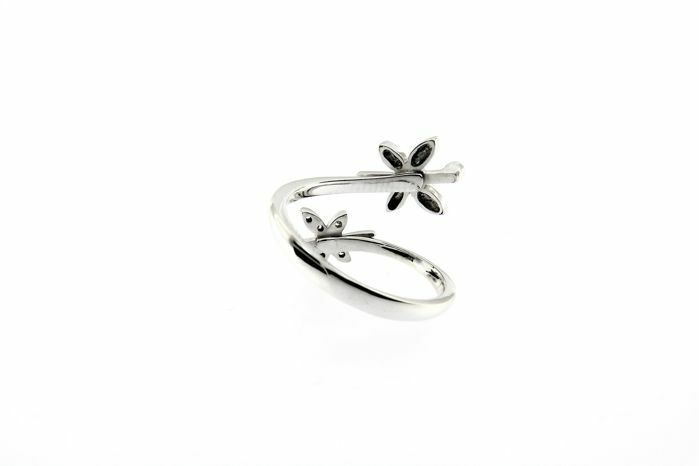 Contrarie ring with 2 butterflies and 8 diamonds, in 18 kt (750/1000) white gold. 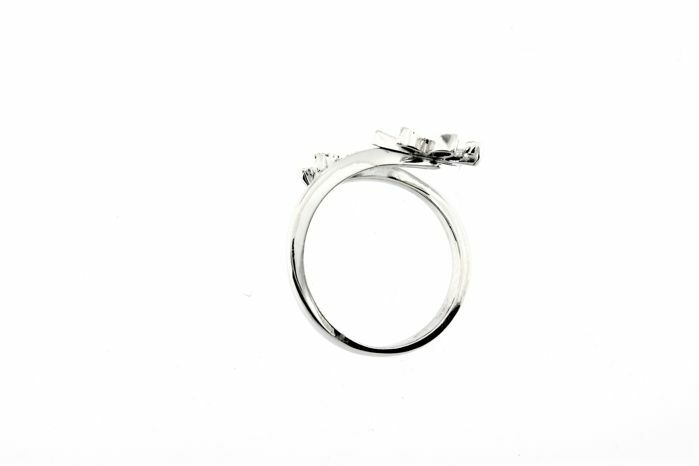 8 diamonds for a total of 0.05 ct, round brilliant cut, colour GH - clarity VS. 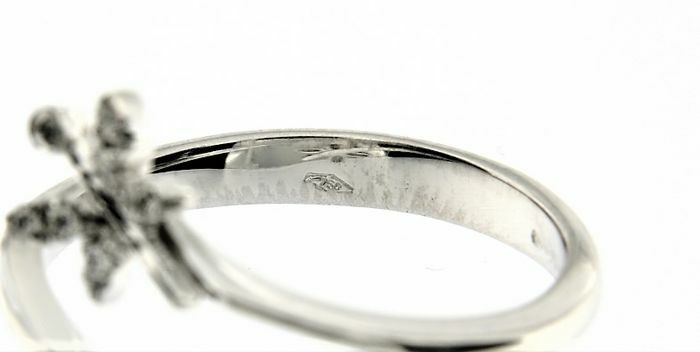 In addition to the 750 gold hallmark, this item of jewellery bears the hallmark "1989AL", which identifies an Italian company. 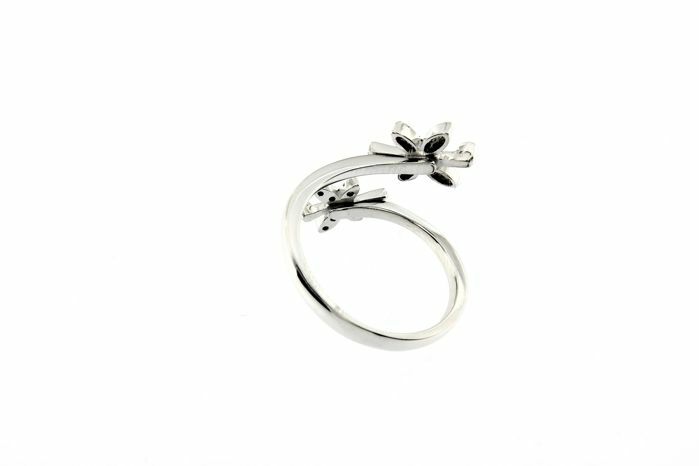 The diamond weight has been estimated using a very precise electronic gauge, as the stones are set in the item and cannot be weighed. 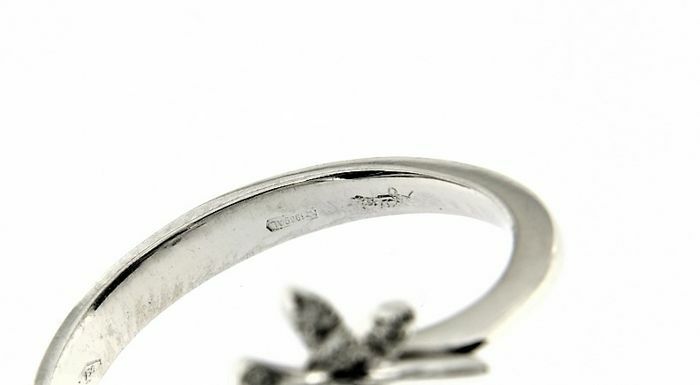 Ring supplied with a 'Ledial' branded gift box.